WF: What is the genesis of this lovely thought of celebrating a day of the year as the Financial Advisor’s Day? Radhika: There are various days like Doctors Day, CA Day and others which celebrates different professions and their contribution towards society. Financial Advisors play a very important role in helping the investors plan for their life goals by choosing the right products and plans to suit their risk profile. There are enough investor stories on how their Financial Advisor has been a partner in fulfilling their life dreams and aspirations. In many cases they are part of the family. But there is no day which recognises and celebrates the efforts and contribution of Financial Advisors. Financial Advisors have also played an important role in increasing the penetration of Mutual Funds in India over the last 25 years. Edelweiss Mutual Fund has always believed in the power of right advice. We have also been communicating the necessity of advice before investing through our campaign #AdviceZarooriHai. We wanted to commemorate and recognize the efforts of all our Financial Advisors. 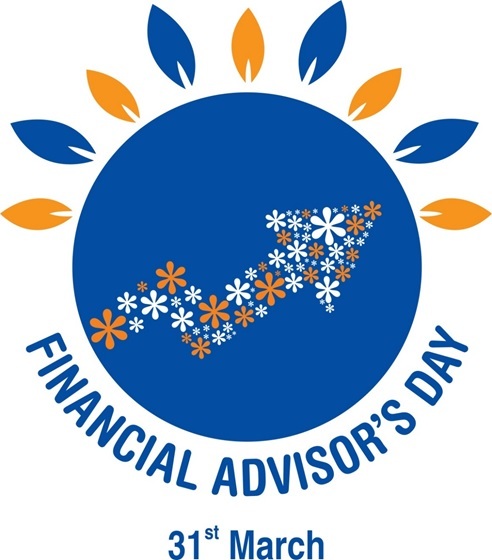 WF: When and how do you plan to celebrate Financial Advisor’s Day? 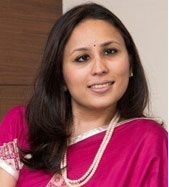 Radhika: To acknowledge their contribution, we will celebrate March 31, of every year as the ‘Financial Advisor’s Day’ beginning with March 31, 2019 as the first year. We will celebrate this day through multiple digital initiatives through our website and Digital Media platforms. We have also partnered with multiple regional IFA associations who have come together - to celebrate this day and spread the message to IFAs and partners alike in locations where Edelweiss Mutual Fund does not have a branch. - Our effort is to showcase as a cohesive unit of IFAs, partners and everybody associated to come together and celebrate this day with full fanfare. The celebration will take place across all Edelweiss Mutual Fund branches pan India in the first week of April 2019 in collaboration with our partners. An initiative has also been taken to host an online page for this occasion on our website: http://www.edelweissmf.com/advice-zaroori-hai.html where investors will have good, quality information available on why and how advice is important in their investment journey. WF: How can IFAs participate in these events? Radhika: IFAs and partners can join us to spread this message amongst fellow IFAs and educate new and existing investors on why and how advice plays an important role. WF: Why do you believe this initiative is important for investors to be aware of? Radhika: Studies have time and again proved to us that most investors while selecting their investment products rely on advice from friends, peers or family. However, we believe that one should seek professional advice when it comes to investments. We, at Edelweiss Mutual Fund have always believed in Financial Advisors playing a pivotal role in the investment and financial journey of an investor. Most investors are not equipped to understand the various categories and kinds of mutual fund schemes/products available. The cost of going wrong and the impact it can have on the investment portfolio by not choosing the right investment option/product is higher than the value of advice. Hence, advice becomes paramount before one starts their investment journey and through the journey as well. A lot of investors have traversed in their investment journey with the help of Financial Advisors. It’s a right time for them to thank their Advisors for their contribution! WF: In what ways are you planning to reinforce the messaging around Financial Advisor’s Day to help investors appreciate the value of good advice? Radhika: We will continue with our #AdviceZarooriHai campaign and messaging through various formats and mediums in FY20 reaching out to new and existing investors through digital and offline mediums and through partners. Investors can also visit http://www.edelweissmf.com/advice-zaroori-hai.html to know and read more on this initiative. Who keeps your financial health in check? Where and how much to invest? WF: What material / information can IFAs leverage from this initiative to pass on to their clients and prospects to help reinforce the value of a good advisor? Radhika: IFAs and partners can co-brand content created in various formats and different mediums to share with their investors. Some of the video content around AdviceZarooriHai. Partners can write to distributor.amc@edelweissfin.com to know more or for any assistance on Financial Advisor’s Day. Wishing all partners a very Happy Financial Advisor’s Day.